If you are considering a whole house water filtration system, water conditioner, drinking water system, or air purifier for your home in Columbus, Ohio, turn to RainSoft. Since 1953, we’ve been dedicated to providing world-class home water and air treatment products to customers throughout North America. At RainSoft, we take a holistic view of water and air treatment, often recommending multiple systems that work together to provide the cleanest air and water possible. When you call us, we’ll arrange for one of our knowledgeable technicians to visit your home and perform a complimentary water test, taking care to explain to you the results and what they mean. Based upon these findings, we’ll recommend one or more systems that will correct your water or air woes and lead to a noticeable improvement in your quality of life. Whole House Water Filtration Systems – Our whole house water filtration systems remove chlorine and volatile organic compounds from your home’s water supply. RainSoft can also provide you with a more specialized problem-solving water filtration system in the event that your home’s water has elevated levels of iron, sulfur, or other contaminants. 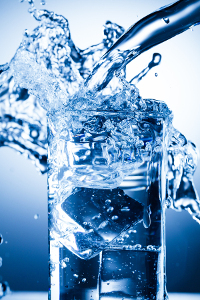 Water Softener Systems – Water softeners, also known as water conditioners, seek to address hard water by removing the excessive levels of calcium and magnesium that cause water hardness. Our water softeners accomplish this by passing the hard water through a tank where the calcium and magnesium ions are exchanged for potassium and sodium ions. Drinking Water Systems – A RainSoft drinking water system can be installed either under your sink or in your basement to remove impurities from your water supply and provide tasty drinking water direct from your tap. Air Purification Systems – We proudly offer the AirMaster Ultra, a whole-house air purification system that filters out or destroys airborne contaminants such as fungi spores, allergens, mold, mildew, and bacteria from the air in your home. This duct-mounted system functions silently and continuously to improve the quality of the air throughout your entire home. For additional information about our home water and air treatment solutions, please contact your local authorized RainSoft dealer in Columbus, OH, today.